Will Oceanside Change Its Slip Transfer Policy? OCEANSIDE — The Oceanside Harbor and Beaches Advisory Committee is bringing up the touchy topic of boat slip transfers at its Sept. 27 meeting, leading many boaters to wonder if the long-established practice of selling the right to rent a slip along with the boat that occupies that space is about to end. 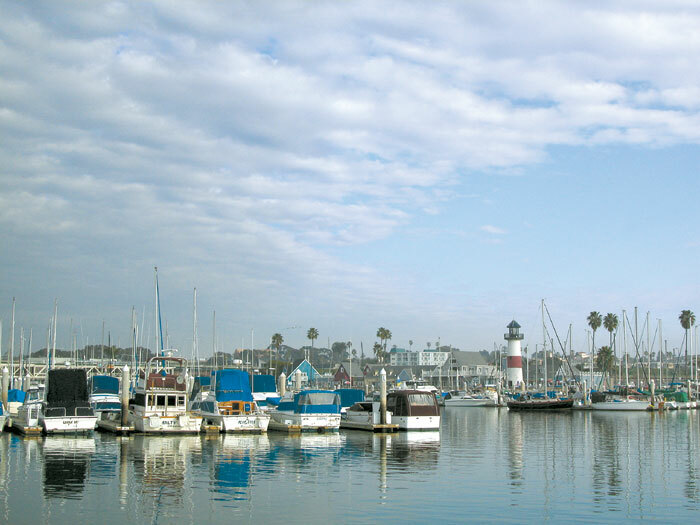 Under the current arrangement, boaters with slips in Oceanside Harbor are permitted to sell their vessel along with a transfer of their slip lease, giving potential boat buyers the opportunity to avoid the harbor’s slip waiting list. Harbor Advisory Committee member Jim Jenkins said the practice is important to boat sales in the harbor, warning that if slip transferability goes away, boat values in the area will decrease. But some boat owners on the slip waiting list have said the current slip transfer practice leaves them without an opportunity to lease a slip. At the committee’s May 24 meeting, Oceanside Harbor and Beaches director Frank Quan said he had received a few complaints of boaters abusing the system, with rundown or older vessels fetching higher prices in exchange for the buyer not having to put his or her name on the slip waiting list. Buyers of a run-down boat can transfer the slip lease into their name, and then simply move a new boat into the space. A few years ago, the waiting list for a slip in Oceanside Harbor was about 100 names long, and it could take up to 10 years for larger boats in the 50-foot-plus range to move to the top of the list. The current waiting list has 69 boaters waiting for a spot in the 950-slip harbor, with slips in the 25- to 35-foot range still taking around two to three years to open up. While some say the long wait has lessened demand in the harbor and frustrated boaters, Jenkins noted that the waiting list decreased following the economic downturn, coupled with the 30 percent slip fee increase implemented last year. Another benefit intrinsic in slip transferability is that it relieves boaters with older or rundown vessels of the costly responsibility of removing their boat from the harbor. Older or derelict boats are often left behind in harbors, leaving the city or county responsible to cover the cost of removing the vessel. In Oceanside, monies allocated for derelict or abandoned vessel removal come from the Harbor and Beaches funds, which are directly funded by boater slip fees. But with slip transfers, new boat owners can purchase a derelict boat and its accompanying slip, pay the harbor’s slip transfer fee of $20 per foot of boat or slip — whichever is greater — and are then responsible to handle the old boat and its removal. “The slip transfer allows newer boats to get in the harbor, which is good for everyone,” Jenkins said. “The city doesn’t have to spend money on removing the older vessels — and the newer boats are going to be utilized more, which leads to increased fuel sales, increased service center functions and an increase in harbor merchant sales. “Everyone, whether they’re on the waiting list or not, has the same opportunity to purchase a boat, transfer their slip and be in the harbor,” Jenkins said. In addition to the new boat owner taking on the responsibility of an old vessel’s removal, having new and more expensive boats in the harbor leads to higher tax revenue for San Diego County as well, with the county charging a 1 percent tax on the assessed value of a boat. Vessels with a value less than $5,000 are exempt from the tax. In Newport Harbor, a similar situation to Oceanside’s emerged as the city worked on what to do with a long-standing policy of transferring the harbor’s public moorings from boat owner to boat owner. Derelict boats regularly fetched thousands of dollars more than their value, in exchange for the transfer of the mooring they occupied. After a 2007 Orange County Grand Jury report found that the practice essentially constituted the buying and selling of a public asset, city officials began limiting transfers in 2010, phasing out the practice over the next several years. Over the past few months, Quan has been researching how the harbor transferability topic is handled in other harbors, compared to Oceanside’s municipally run slips. With rumors now swirling that the slip transfer policy could be limited or eliminated, Oceanside Harbor boaters are worried their vessels’ resale value could severely dip. Jenkins said the issue has led many owners to put their vessels up for sale, in fear of future limitations. The topic will be discussed at the Harbor Advisory Committee’s Sept. 27 meeting, scheduled for 3 p.m. at Oceanside City Council Chambers, 300 N. Coast Highway. If the committee decides to look into changing the slip transfer rules, an ad hoc committee would need to be formed, and public workshops would be held, allowing harbor stakeholders the opportunity to discuss the issue. After that, the Oceanside City Council would have to approve any changes in the existing transfer policy before they could be implemented.